Think Bizar is just about Bar Mitzvahs and weddings? Think again! Bizar Entertainment brings our brand of heart-stopping fun to just about any event. 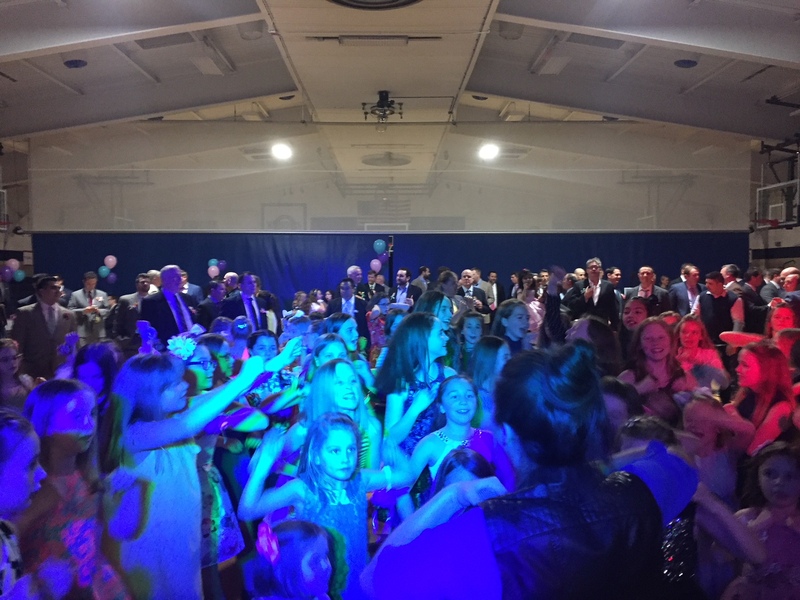 One of our favorites…a Daddy / Daughter Dance, pictured above. Birthday party? 10 year old? 50 year old? Retirement party? Baby shower? Inter-office regional arm wrestling championship? We will make it a blast! Trust Bizar to inject excitement into all of your most important life moments. Every event is special to us and our entertainment reflects that. We even have our own party room. Click here to see our space…DETOUR. Thank you for making our party perfect. It was fun and your expertise and great advice made it a pleasure to plan! Bizar crew was awesome! A+++++! Kept everyone dancing all night long! Thank you! I had a chance to meet Jeff on the other side of the business as he is a client of mine and quickly realized that his passion for his career of entertainment and working with kids is a trait not a career and is a part of his character. Jeff gave me the same courtesy as a salesman trying to sell him, as he gives his own clients. It's not typical you come across two sides of a coin that are identical. It was an honor Jeff!